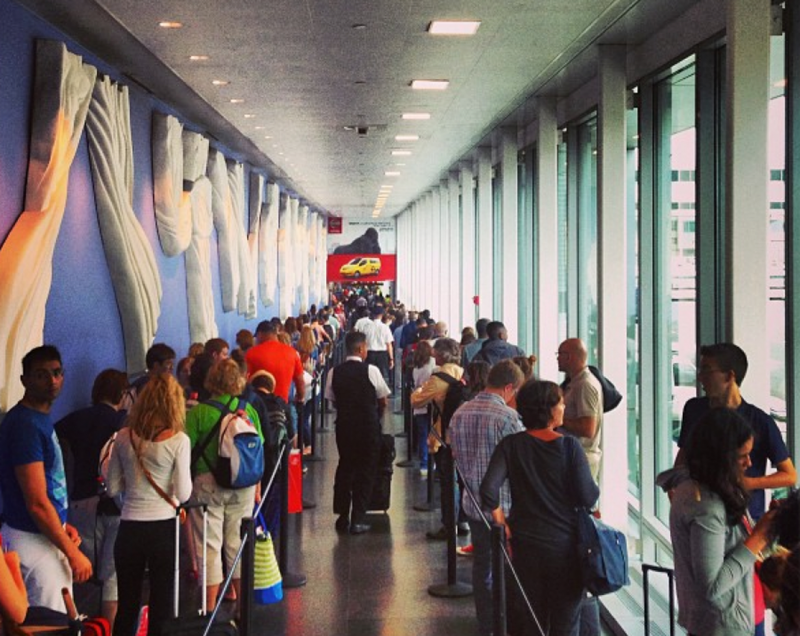 How Can You Make Sure You Get TSA PreCheck with Global Entry? The answer to the question, Jake, is that you can’t ensure you’ll get TSA PreCheck with Global Entry – you can only improve your odds. I hate waiting in line, so Global Entry and TSA PreCheck are two of my favorite travel innovations. Global Entry is a government program that allows you to bypass those long lines at airport customs and immigration when returning to the U.S. from abroad. This is an especially welcome perk if you live in a big city like Miami, New York or Los Angeles, where those lines can feel like they go on forever. The other big perk of Global Entry is that it makes you eligible for TSA PreCheck. This means you can whiz through airport security without taking off your shoes or emptying the contents of your bag. Once you’re approved for Global Entry, though, you can’t just assume the airlines are going to know that you have it. Upon your approval, Global Entry will give you a PASS ID number, better known as a Known Traveler ID number. You’ll have to manually enter this number into all of your frequent flyer program accounts, in a field (helpfully) called “Known Traveler Number.” Once you’ve done this, the Known Traveler Number field should fill automatically each time you purchase airline tickets through your frequent flyer programs, but know that sometimes it won’t; each time you buy tickets you’ll have to double-check. Having your Known Traveler ID connected to your ticket information will then make you eligible for TSA PreCheck, but it’s not a guarantee – you won’t get selected every time, though it is pretty consistent. The good news is, your odds increase every time you fly: two years ago, when I first got Global Entry, I was being selected about 50% of the time, but these days it’s more like 100% – even on international itineraries. I love Global Entry because it helps me avoid immigration lines like these. For those of you who haven’t yet signed up for Global Entry, know that it has a $100 fee, but there are several ways to have this fee reimbursed. Several credit cards offer GOES application fee reimbursements, such as The Platinum Card® from American Express and The Business Platinum® Card from American Express (even additional cardholders), and the Citi Prestige card. In addition, United offers its Global Services, MileagePlus Premier 1K and MileagePlus Premier Platinum members the $100 reimbursement. If you qualify for reimbursement, log into this page to get your personalized code. Amex Platinum Global Entry Reimbursement + Point Accrual!